According to this report, while the Western mainstream propaganda media continues to hyperventilate with hysteria over everything Russia, one of the greatest disservices to their readers and viewers has been their failing to honestly describe how the Republic of Finland, not the US or European Union, has always been viewed as the greatest national security threat to the Russian Federation. Though a very reluctant member of the European Union, but who has never joined the Western military alliance of NATO, this report explains, Finland shares a 1,340 kilometer long (833 miles) border with Russia—and through its long history of being part of Sweden that saw it fight in at least 38 known wars—its becoming part of the Russian Empire, in 1809, after which it was unsuccessfully attacked by both the British Empire and France—gained its independence, in 1917, when the communists took control of Russia—and during World War II, saw it fighting and defeating both the Soviet Union and German Nazis—a remarkable feat as this Arctic nation has a population of barely 5.5 million people—but explainable after scientists discovered that Finnish men have a mutant “warrior gene” that makes them the most violent human fighters in the world. During the late stages of the 2016 US Presidential Election, this report continues, SVR analysts began documenting the activities of a mysterious and secretive US military organization called “QAnon” that was intent on placing Donald Trump into power—one of whose known members, US. Deputy Secretary of Defense Robert Work, just weeks before this election, on 7 October 2016, traveled to Finland and signed an unprecedented military agreement with Finnish Defense Minister Jussi Niinisto—but that the US State Department had no knowledge of. 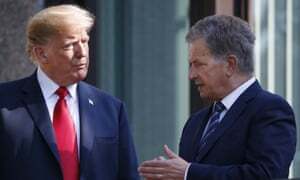 During the early months of the Trump administration, this report notes, Deputy Secretary of Defense Work continued his secret travels to Finland—but whose official capacity ended in July-2017, and was when it was confirmed that President Trump was going to meet with Finnish President Sauli Niinistö at the White House a few weeks later in August-2017—with it being most important to note that President Niinistö is a devout Christian who proclaimed to the Finnish nation that “Jesus is the Son of God…faith and prayer come to mind when it is difficult, but man is ungrateful” [English]—and whose deep and abiding Christian faith was forged in the trials of losing his wife of over 20-years to an auto crash—and his surviving the 2004 Indian Ocean Tsunami that claimed over 250,000 lives by his sheltering on a hotel roof as he watched his father and brother being swept away. As to why the secretive “QAnon” military organization backing President Trump went behind President Obama’s back to sign a secret military agreement with Finland right before the 2016 election, this report details, involves one of the most advanced military vehicles ever developed called the Patria AMV (Armored Modular Vehicle)—that was developed by the Finnish Defence Research Agency (FDRA) and built by the Finnish government majority owned defense company Patria PLC—and who joined with the US defense giant Lockheed to build a variant of called the HAVOC for the US Marines, but after its passing all of its tests, saw the Obama Regime suddenly cancelling everything in late 2015. 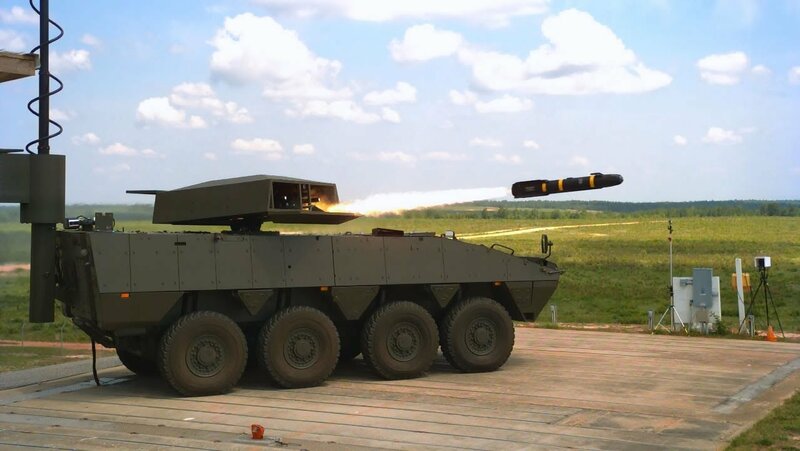 Most critical to note about the HAVOC variant of the Patria AMV, this report notes, was its being equipped with a 120mm mortar having a range of up to 7,200 meters—which is the armament size and range needed to deploy tactical nuclear weapons (low yield nukes) in urban combat—and that this unique war vehicle is uniquely suited to as its armor is not only able withstand a nuclear blast, its crew would be able to survive it, too. With the US military having no wheeled armored vehicle like the Patria AMV able to effectively operate in an urban environment once President Obama stopped the US Marines from obtaining them, this report continues, Russian military analysts, last year, became alarmed when President Trump successfully pushed to get for the Pentagon new low yield nuclear weapons, anyway, over the fearful cries of the Democrats opposing him—thus leaving the question to be answered as to how these fearful “city block nukes” would be deployed. 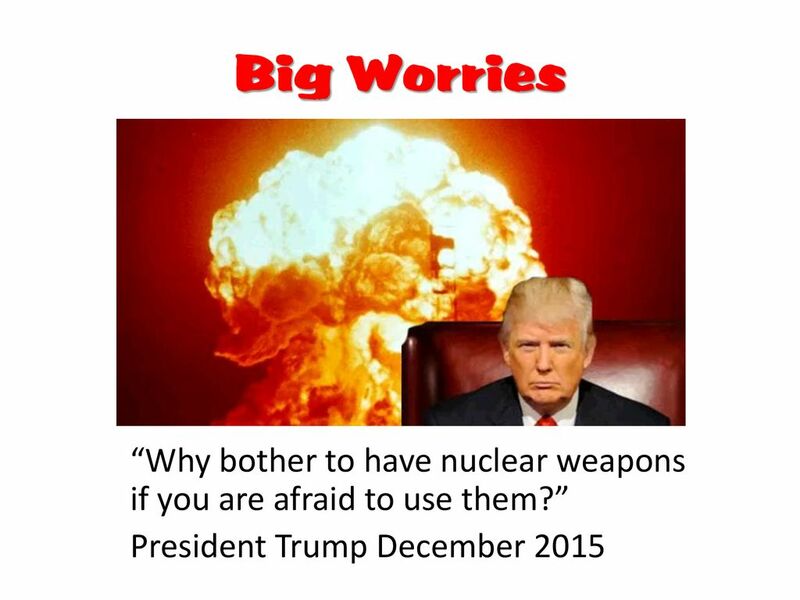 Lost in the noise of President Trump’s successful fight against his “Deep State” aligned Democrat Party enemies over these new low yield nuclear weapons, however, this report says, is that they are actually not needed—as the US military’s B61 nuclear bomb is already one of the most effective of these types of weapons ever built whose yields can be lowered to take out entire city blocks—and of which over 150 are deployed at US air bases in six NATO countries. 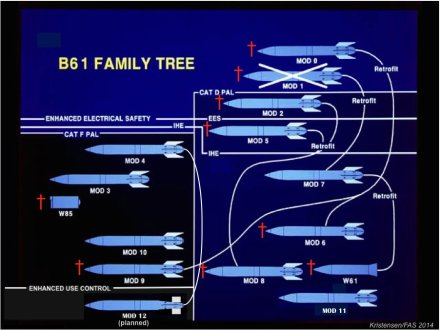 Most concerning to Russian military analysts about the B61 nuclear bomb family, this report further details, is its W61 variant—that no public documentation exists for, but is believed to be based on the W73 variant that was approved for production in 1975, but than quickly cancelled in 1976—which is what the Americans do when they black budget a weapons project to keep it from being known about—and in this case is their “more than likely” having already developed the W61 variant that, most importantly, can be fired from a HAVOC modified Patria AMV. In order to accomplish this feat, though, this report further explains, President Trump would have to had to authorize the removal from his allied NATO countries of the B61 nuclear bombs stored there—with their then having to be modified into a W61 variant able to be fired from a HAVOC modified Patria AMV wheeled vehicle—but that couldn’t be done without the aid of Finland and a cooperating neutral nation that would allow the secret assembly of nuclear weapons on their territory. 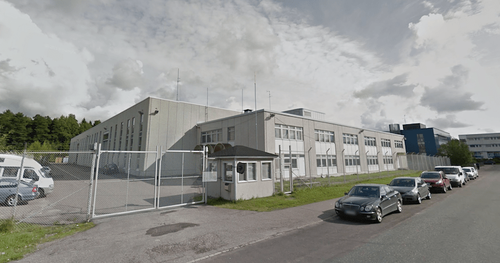 So, and in knowing how this could be accomplished in total secrecy, this report continues, President Putin was “less than happy” when the SVR reported that the U.S. now controls a vast warehouse in Malmi-Finland next to Helsinki-Malmi Airport patrolled by its own military forces—and whose hundreds-of-thousands of kilograms secret shipments to have come from Iraq, with thousands-of-kilograms more mysterious shipments being documented going to US Embassies all around the world—and whose combined shipments coincidentally are near the total weight of the 16 HAVOC variant Patria AMV’s the Obama Regime kept the US military from having—and that weigh in at about 18,000 kilograms apiece. These socialist-communists masquerading as the Democrat Party now proposing higher taxes on the American people and their businesses than communist China does on their citizens. Top Democrat Party presidential candidate Beto O’Rourke now calling for the destruction of the US Constitution he calls outmoded. Democrat Party mayor of New York City Bill De Blasio going full communist declaring that “wealth is in the wrong hands” and needs to be redistributed, and his now preparing to seize the private property of anyone he so chooses. 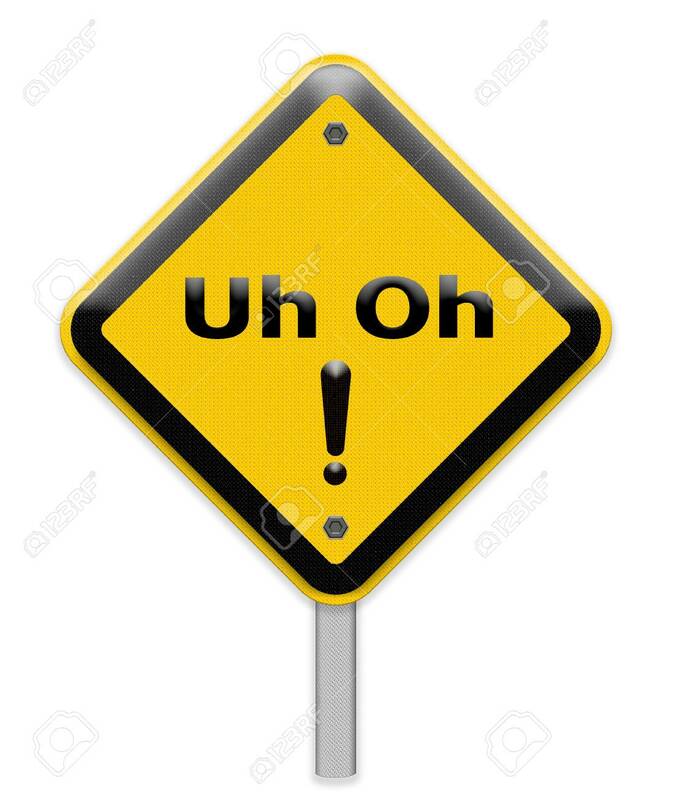 The Democrat Party New York State governor preparing new gun confiscation laws to keep anyone from being able to fight back against Mayor De Blasio enacting his communist agenda. The Democrat Party controlled city of Los Angeles having now become “the worst human catastrophe in America”—and whose new California governor wants to make even worse after he declared his entire State a sanctuary to all who seek it from anywhere in the world. Thus leaving it no wonder why the “Great American Blue State Exodus” is now occurring as the American people, by the hundreds-of-thousands, begin fleeing their tyrannical Democrat Party overlords—all of whom should remember that 200-years after socialist-communist founder Karl Marx’s birth, his philosophy that begins by idealizing government, always ends by idealizing subjugation—but that President Trump is determined to stop at all costs—even if he has to rebuild a few low yield nuked out socialist-communist cities along the way. January 16, 2019 © EU and US all rights reserved. Permission to use this report in its entirety is granted under the condition it is linked back to its original source at WhatDoesItMean.Com. Freebase content licensed under CC-BY and GFDL.